Did you know that this year Christmas is on December 25th?? Haha. Yes...I know I'm being funny, but I cannot tell you how many of our coaching clients tell us that they use credit cards to pay for Christmas because it "snuck up" on them. Don't let Christmas sneak up on you! Below are 5 things to keep in mind as you begin (or complete) your Christmas shopping. Determine how many pay periods you have left before Christmas. Review your budget to see where you can pull from to create your Christmas spending budget. I would rather you not create new debt instead of paying extra on existing debt. So if lowering your debt snowball a little will give you the money you need to pay cash for Christmas, I'm okay with that. Continue to make minimum payments on everything and use SOME of your debt snowball to purchase Christmas gifts. SET A SPENDING BUDGET! Yes, I know I'm yelling, but I meant to yell. If you do not set a limit, you WILL overspend. Please hear me. Set a budget (either per person or total spending) and STICK TO IT! This is the most important part of not overspending for Christmas. Don't forget to plan for extra groceries. We tend to spend more on food in December. So we add extra money to the food budget in December. Another way to help make room for more groceries in December is to simply eat what's already in the pantry. Commit to only eating from the pantry for a week or two and use that grocery money to shop for food for the holidays. And we both know you need to eat what's in the pantry anyway! Consider spending less per person. I know this is sacrilege, but consider lowering how much you spend per person. Keith and I have been giving homemade gifts for years as a way to keep our gift budget low. It's one of the ways we kept our debt snowball in tact during the years of debt reduction. Lastly, consider either selling some things to create money for Christmas or get a part-time job to help out. Retailers especially are looking for part-timers to help out. 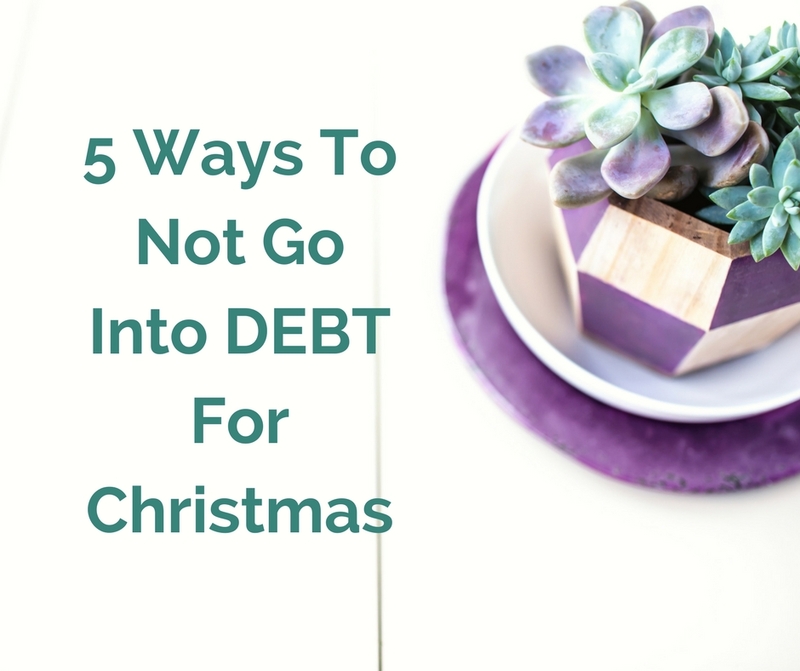 And staying on after Christmas would be a great way to build momentum on your debt snowball or savings efforts. I hope these tips have been helpful. Christmas is only 43 days away! Don't get caught without a plan. Make the commitment to pay cash for Christmas! Click here for your copy of the irregular income worksheet! I have included my Irregular Income worksheet to help. Set your budget and it will help you see how much you have left to spend on each person. I recommend spending on paper before you spend the money and don't forget to include extra food money! 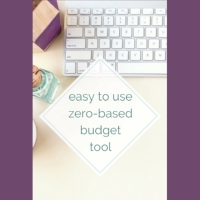 Click here for your copy of my zero-based budget form! I've also included my Zero-Based Budget Form to help you plan out all of your November and December income. Tracking your money is the best way to make sure it doesn't simply disappear. And I'm here to help if you need some assistance. A Christmas budgeting session may be just what Santa ordered. Click here for more info on my coaching packages. Proverbs 13:16 says "A wise man thinks ahead; a fool doesn’t, and even brags about it." Be wise this Christmas and set yourself up for a great 2018. There's nothing worse than feeling the pain of regret when the credit card statements join you in January. No gift is worth a financial disaster. What are your best Christmas budgeting tips? Feel free to share below. Thanks for hanging out with me this week. Until next time...be well...be encouraged! Posts may contain affiliate links. Find my full disclosure policy here. Subscribe for weekly doses of encouragement! Thank you! Check your inbox for your FREE gift!